It’s our Anniversary…and we want YOU to celebrate with us! 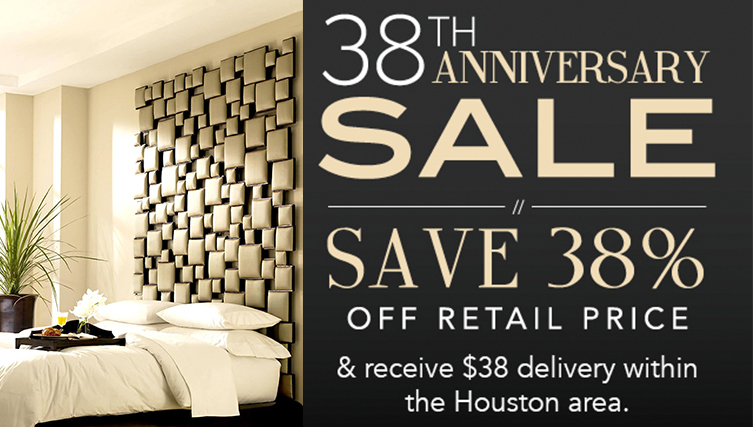 Save 38% off and receive $38 delivery within Houston. Noël Home Furnishings 38th Anniversary sale going on now! We will also be hosting a special customer appreciation event thanking all of you for 38 wonderful years. Family owned and operated locally for nearly 40 years & here’s to 40 more! Thank you Houston & all our wonderful clients across the globe.